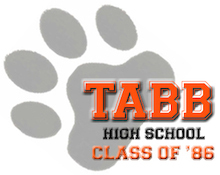 Comments: I attended Tabb High as a Freshman from 1983-1984, and as a Sophomore until November, 1984. Comments: I'm retired and traveling in SE Asia currently with plans to spend six months in India starting March 2016. Please contact me if anyone will be in the area and would like to possibly meet up. Comments: Bummed to miss our 30th reunion. I will be on RAGBRAI cycling with Cleveland Clinic's Pedaling for Parkinson's team ( pedalingforparkinsons.org/fundraising). See you at a future event or text/call to stay in touch. Have fun! 7986 W. Ironwood Reserve Ct.
1412 W. Princess Anne Rd. Comments: Did not graduate from Tabb - just 9th grade - but a lot of friends and fond memories.